There was a period of time during his sudden rise to fame in 1956 that Elvis Presley actually walked the streets of American cities, interacting fairly normally with people he encountered there. But a series of unpleasant episodes soon put an end to that and caused Elvis to raise a barrier between himself and the public. Some of those events were widely reported and brought Presley unwanted negative publicity. There were the 1956 fistfights at a Memphis gas station in October and in a Toledo bar in November. Then in March 1957, he was accused of pulling a pistol on a marine in Memphis. Other, less-publicized incidents also helped convince Elvis of the need to shield himself from the public. Take, for instance, the case of Robbie Moore and her cheese sandwich. 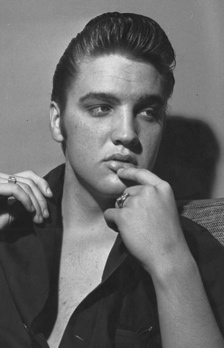 When Elvis Presley woke up in Memphis on Saturday morning, June 16, 1956, he was in the mood to seek publicity, not avoid it. That day was the mid-point of a 10-day break in his grueling tour schedule, and he meant to spend it wandering around his hometown, reconnecting with old friends. He was already a national sensation in the music business, but the criticism and controversy that would later follow him wherever he went was just beginning. So, on this Saturday in June, he fearlessly stepped out on the streets of Memphis. Elvis’s first stop was the local live TV broadcast of “Dance Party," hosted by Memphis DJ Wink Martindale. During his walk-on appearance, Elvis talked informally about his upcoming July 4th Memphis charity show and other things. Later, with 8 or 10 friends and girlfriend Barbara Hearn in tow, Elvis wandered down Main Street and entered the Gridiron café near the Strand movie theater. By the time they got there, Robert Johnson, TV columnist for the Press-Scimtar, and photographer Robert Williams had joined the group. While some of Elvis’s friends played the jukebox, and others hung around the café door, some inside, some out, Elvis and Barbara took seats at the counter. To Presley's right at the counter sat another young woman, whom Presley tried to engage in friendly conversation. She showed no interest in him. “Elvis was just surprised when she didn’t respond more warmly, and he was just trying to get a smile out of her," Johnson recalled. 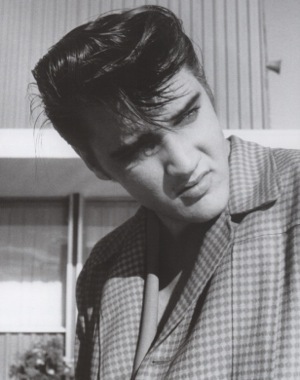 As the woman continued to ignore Elvis's overtures, photographer Williams kept snapping pictures. The singer and his entourage soon left the café. “It was so casual that I had all but dismissed it from my mind,” Johnson later noted. He and Elvis were both to find out the peril that even such casual public encounters could pose for the young music megastar. Since publications around the country were eager to run stories about Presley, even about such minor episodes as this one, Johnson decided to write up something and sell it for a few bucks. 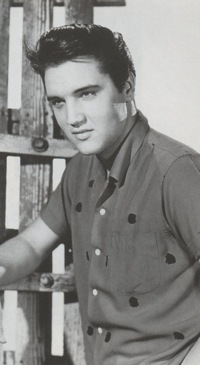 His article, along with Williams’s photos, soon appeared in the one-shot Elvis magazine “Elvis Presley Speaks,” published by RAVE, Inc., in New York. On August 27, 1956, over two months after the encounter with the young woman in the Gridiron, Elvis received notification in the mail from attorney Marvin Brooks Norfleet that he was prepared to file a $42,500 damage suit against Presley on behalf of his client, Miss Robbie Moore. 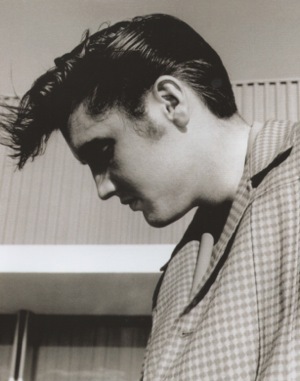 The suit charged Presley with invading her privacy and committing assault and battery when he laid his head on her shoulder in a Memphis café on June 16, 1956. In notifying Elvis of his intention to file the suit, Norfleet was obviously fishing for a settlement. He got it. Soon he was contacted by a “firm of New York lawyers representing Presley” (aka Colonel Parker). The firm agreed to pay $5,500 to keep the case from going to court. Attorney Norfleet and plaintiff Robbie Moore split the pot, each taking $2,750. 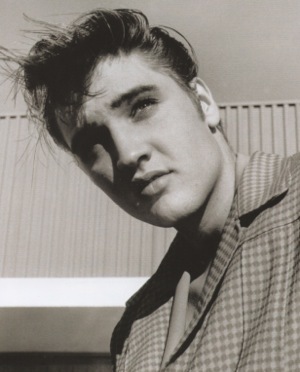 When the case went public in late September 1956, Elvis confirmed the settlement, saying it was done to “keep down undesirable publicity.” Naively, Presley told a Press-Scimitar reporter that he was surprised by the lawsuit. He said he had known Miss Moore for several years and had “no idea she would object to the picture.” The reporter also made his way to Robbie Moore’s home at 431 Stonewall to get her side of the story. The newspaper reporter interviewed Robbie Moore at her home the day after the suit settlement became public. Their conversation was interrupted several times by heckling phone calls she received from teenage girls. Moore allowed the reporter to listen in on a couple of the calls. “How can you take money from someone as great as Elvis?” a caller asked. Moore responded, “I don’t think he’s so great.” She told the reporter she had received dozens of such calls that day, but she seemed more amused than troubled by the outraged callers.